Desert Boots and Shoes Fall/Winter 2010 Trend. Arming up your wardrobe with the latest footwear is also and ace idea as you would pave the way fro embracing the various style tendencies. 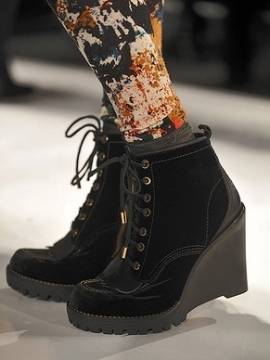 The desert boots and shoes fall/winter 2010 trend managed to mesmerize both the A-list designers as well as the public. 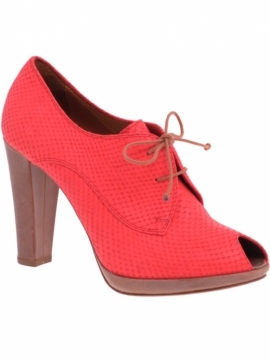 More and more of them are eager to explore the great benefits as well as comfort these shoes have to offer us. Mark these stylish examples and find out the best means to have a sight-enchanting outfit both when you head for school and work and also for a chic shopping spree. 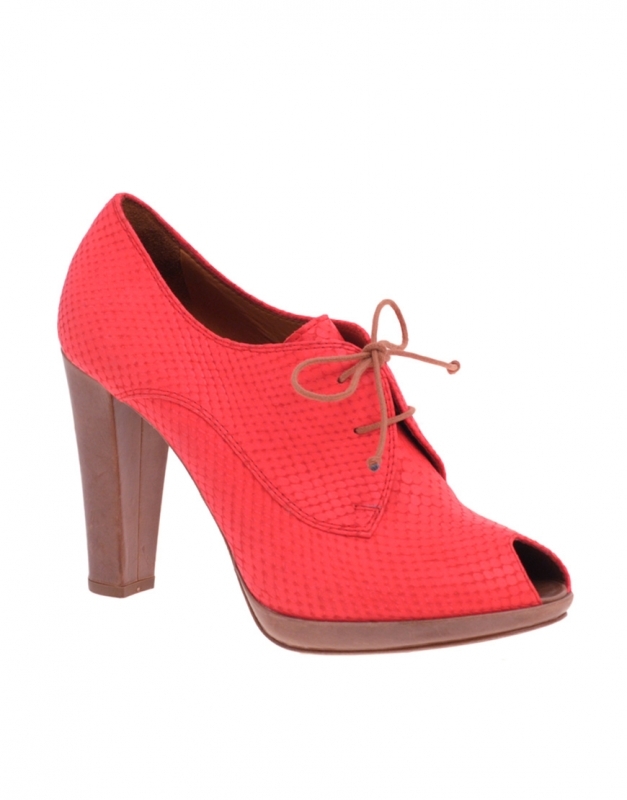 Comfort and utmost chic is fused into these classy and retro-inspired shoe designs. Sporting the latest footwear trends is indeed the first step towards keeping the pace with the evolution of style tendencies. 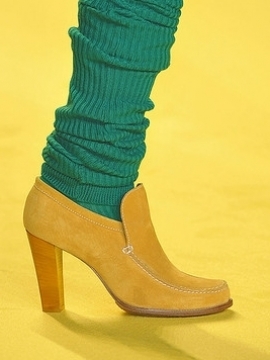 The desert boots and shoes fall/winter 2010 trend brings a practical allure to the domain of accessories. This time there's no need to torture our feet with edgy shoe designs instead it's the best moment to vamp up our wardrobe with these boots and peep toes that would offer us a more pleasant experiences. Prepare for the rainy weather as well as the cold season with these fashion pieces and stay true to your signature style when building up the various outfits. Desert boots and shoes in general come in various designs from the wedged to the heeled looks each creating an unique impression when paired with the key fashion pieces of the season. Heeled or desert peep toes would provide you with the chance to look more feminine as well as challenge your walking skills. Look fabulous and up-to-date with your apparel and pair the high heels with stylish shorts or floral dresses. This is indeed the ultimate key to earn standing ovation and envy glimpses. The wedges made their way right to the runway as well as the red carpet as the public just couldn't stay far from these shoe trends. This is indeed the most safest and comfiest alternative for those who would like to feel confident when strolling on the street and spring their feet and sole from the extra-weights and pressure. Besides being practical these shoe designs can be also paired with stylish flared pants and also skin-tight skinnies which are equally fashionable this season. The catwalk offers some life-saving and revolutionary ideas how to adopt the fashion trend embedded into a classy and more polished as well as alternative looks. 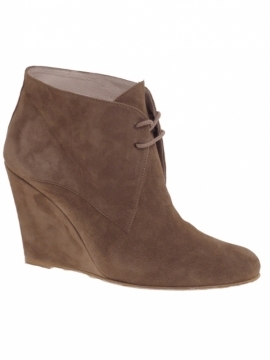 Depending on your outfit and clothing style preferences make sure you include these suede or leather desert boots into your shoe collection to have a stylish footwear option and a cute accessory at hand anytime your look needs an 'oomph up'. Be it cargo pants, shorts, or summer skirts as well as flirty dresses you wish to wear the next season, always look for the best details that would further boost the chic allure of your apparel. Feel free to choose from the celebrated looks as the peep toes, ankle boots as well as trademark desert booties offered by the market as well as great designers.Sport the shoe designs that rival the practicality as well as comfort of flats.